Need Aiwa TV remote codes? If you need the codes for your Aiwa TV to control it with a universal remote control, these codes will operate your Aiwa TV. We have 3 digit codes below for your TV that are working. If the first does not work keep trying the codes down the list. 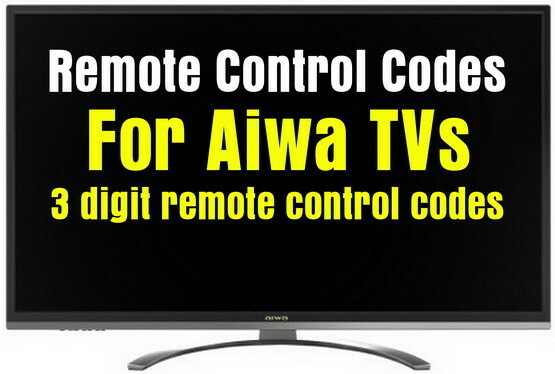 Do you know of any other remote codes for an Aiwa TV? Please let us know below and we will add to the list. I wish to control my Aiwa VX S205 television with my Dish DTVPal DVR remote. You should be able to program your DISH remote to work with your AIWA TV. Try using some of the codes on this page. Or go to the How To Program A DISH Remote page here.